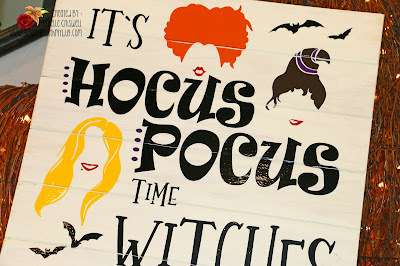 Scrappin with my bug: Hocus Pocus sign ! 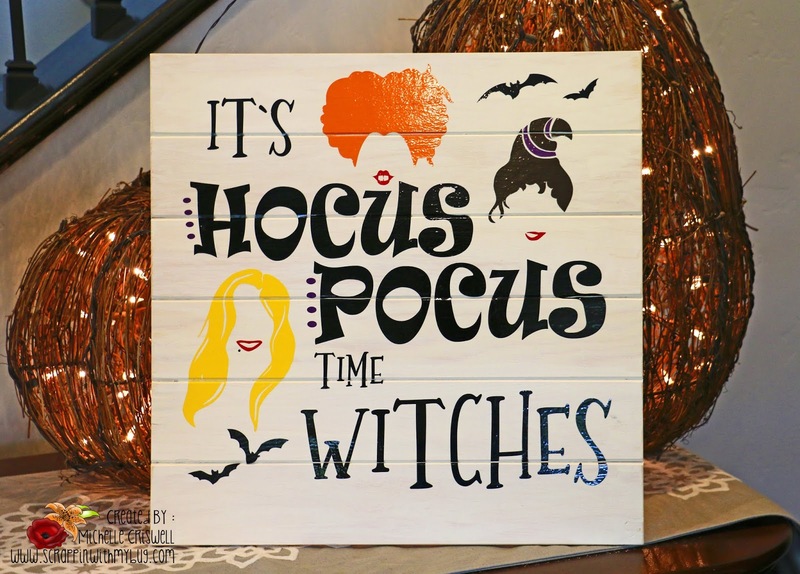 Just showing a Halloween Sign I made for my neighbor and friend! 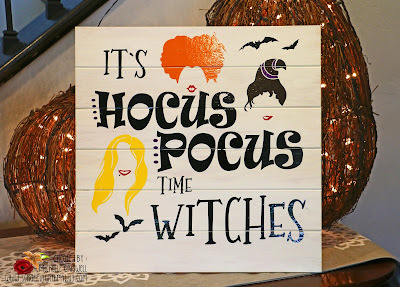 She LOVES Hocus Pocus the movie so I made her this big sign using a board I got from Craft Warehouse. I lightly painted the wood a cream color and sanded it a little. After it was dry I cut the vinyl with my Cameo and a file from Etsy !! I used outdoor vinyl in black, purple, orange, brown, yellow and red!